It’s hard for any online game to capture the true essence of football: the rush of the crowds when a goal is scored, the skill of the players, it can all get lost in translation. 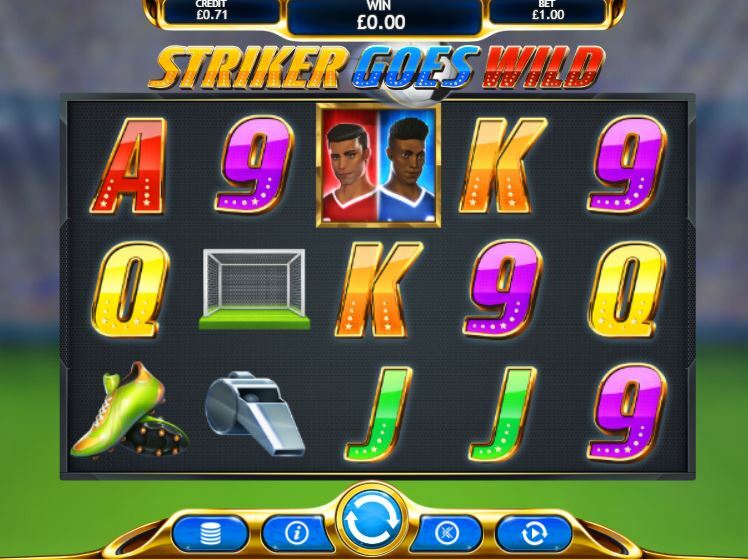 Although Striker Goes Wild doesn’t miss the mark, it’s a very simplistic way of Eyecon showing their love of the beautiful game and we simply adore it here on Easy Slots! Set out on a pitch sized at 3x5, the rules of this slot machine are similar to most others out there, although the demo version currently doesn’t provide many details about paytable values. You’ll have 25 winlines to play across, as well as a unique set of patterns to land if you’re to experience the special feature of this title. As you’ll likely be able to tell from the style of Eyecon’s games, they’re a brand that’s been around for years now, with them having first launched in 1997. They were there when the iGaming boom started, and so they have a lot of experience within the market. That being said, they tend to have a more old school style, which has made them an acquired taste for fans. Based in both Brisbane and Alderney, their reach is undeniable, however they’ve only got a total of 60 games to their name, which is surprisingly small for such a long-standing brand. Not that it’s stopped them from gaining countless fans, many of whom love the simplicity that Eyecon titles introduce to the community, we're no different here at Easy. 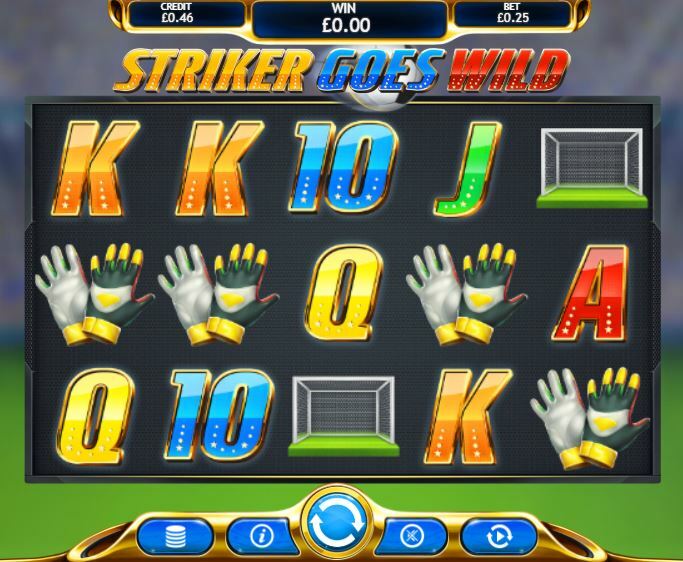 As already revealed, there’s not a lot of range inside the Striker Goes Wild grid, with only one special feature available. That being said, the wins can be quite large if you manage to score as many goals as a real life footballer. Due to the streamlined approach this title takes, there’s not much to get to grips with, as even the controls have been kept to a minimum. Simply place a bet between 25p or £12.50, then spin the reels. Only when you get to the mini game will you experience any real hands-on interaction with this game, and even then, a lot is down to luck. 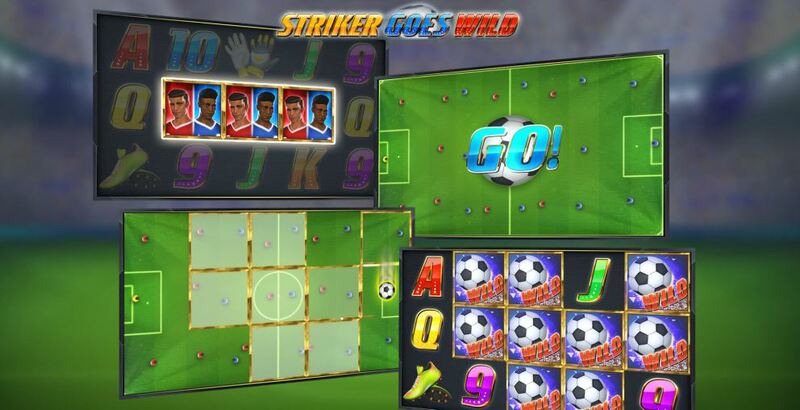 * Striker Goes Wild Feature: To unlock the mini game, you need to land three scatters upon the second, third and fourth reels, which will then enter you into a sort of mini footie match. The aim is simple, you need to score a goal, which involves you mirroring the tricks listed inside the paytable; if you fail to follow the patterns exactly, no goal will be won and therefore the round will end.